Good morning out there Tampa and future Tampa residents! Today we’re back with yet another Tampa video moving tip from Big Boys Moving and Storage to help you to get your move organized! Here is the twelfth installment of our, “Moving Tip of the Day” video segments! Everyone knows to pick up packing and moving supplies before they move, but hardly anyone ever picks up EXTRAS! Did you know that the majority of people moving to a new home need more packing supplies than they think? This leaves them in the lurch at the last minute and often people try to improvise with grocery store boxes and wind up with the bottoms falling out! That’s why today we’re reminding you to head out and pick up EXTRA packing and moving supplies so that this doesn’t happen to you! We recommend picking up an extra 25 to 50% more items than you think you will need to make sure that all your bases are covered. That means that if you think 20 boxes will be enough, pick up 30 instead. 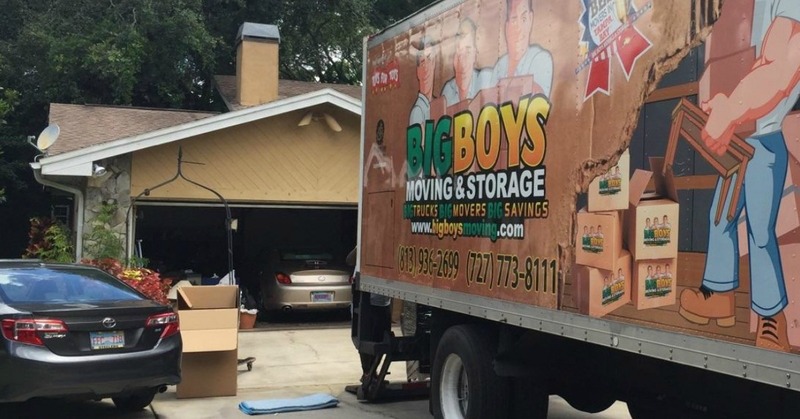 As Tampa’s top moving company, Big Boys Moving and Storage have been serving Tampa and the surrounding areas since 2005. During that time, we have provided moving services to families, students, working professionals, businesses, and even a few celebrities! We pride ourselves in providing top of the line service to all of our clients no matter who they are which is why for nine years running we have been voted as the top moving company in the Tampa area! In need of more tips to help your move along? Why not connect with us on Google or Facebook, and check out more of our easy to follow moving tips! Ready to get your move started now? Give us a call! And don’t forget to ask about our moving specials so that you can save even more money on top of our affordable rates! Just dial 727-773-8111 or 813-936-2699 today!